Probably the best known artist of his time and famous for his realistic depictions of birds and flowers. 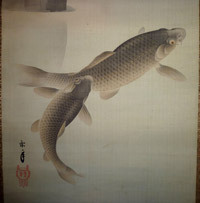 Two koi or carp swim beneath a rock with an overhanging white mountain rose. 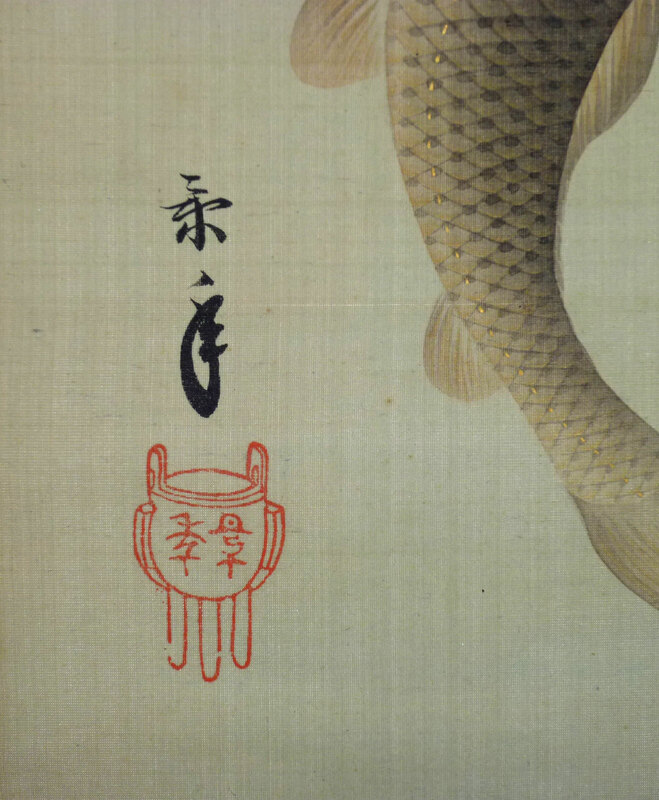 Ink, colour, gofun and gold on silk. Original mount with ivory rollers. A double kiri-wood box inscribed by Keinen’s son Keisho with date Showa 13, 1938 and a guarantee of authenticity. He entitles the painting Nobara yuri, “Koi playing under a wild rose.” Image size: 44.5 x 14.5 in; 113 x 36.5 cms. Slight crease, otherwise good condition. 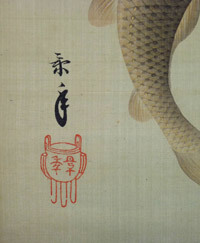 Signed Keinen.